Or you could just get all of it for yourself. They won't know. 1. 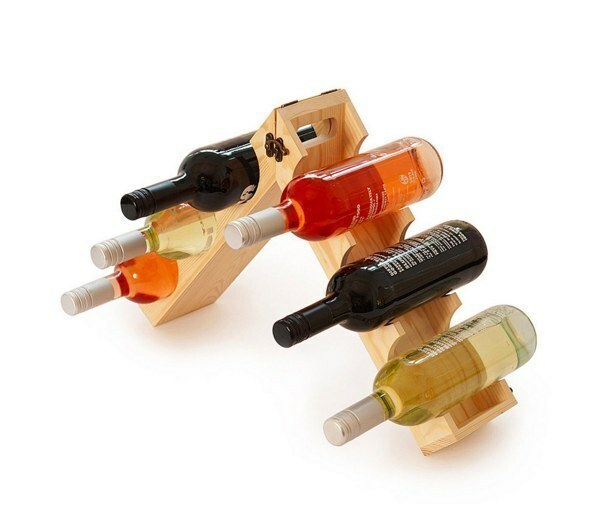 This Wine-O-Saur bottle holder that's perfect for the playful couple. 2. This beautiful set of Bloody Mary glassware for the couple who loves to have friends over for brunch. Get a set of two for $25. 3. This gorgeous set of handmade slate shot glasses in a little carrying caddy. The carrying case makes it easy to bring glasses in or out without worrying about dropping or spilling. Get them from Uncommon Goods for $34.99. 4. 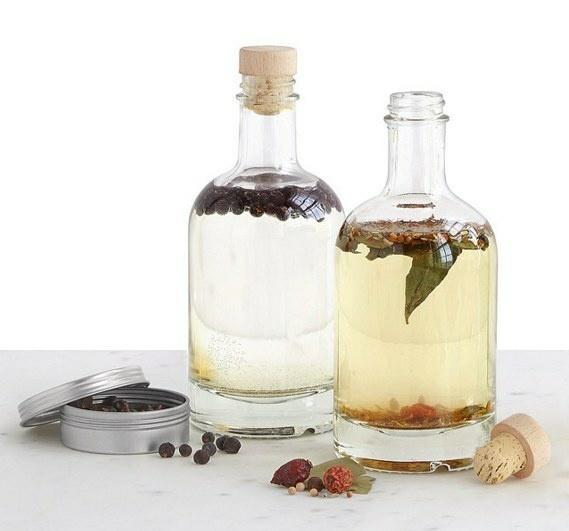 These kits for making gin and flavored tonic syrups. You could just get the gin or the tonic kit separately, but pairing them makes a really thoughtful gift for the G&T couple in your life (even if they're not married!). 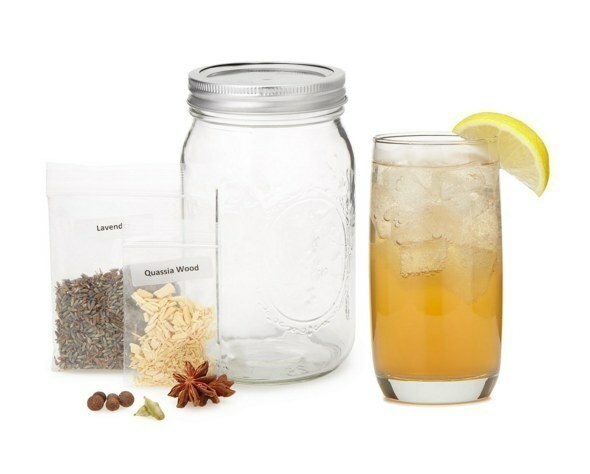 Get the gin kit for $50 and the tonic kit for $30, both from Uncommon Goods. 5. This beer bottle map that is a perfect way to help someone preserve memories of the best beers they've tried. 6. This insulated wine and cheese picnic backpack. 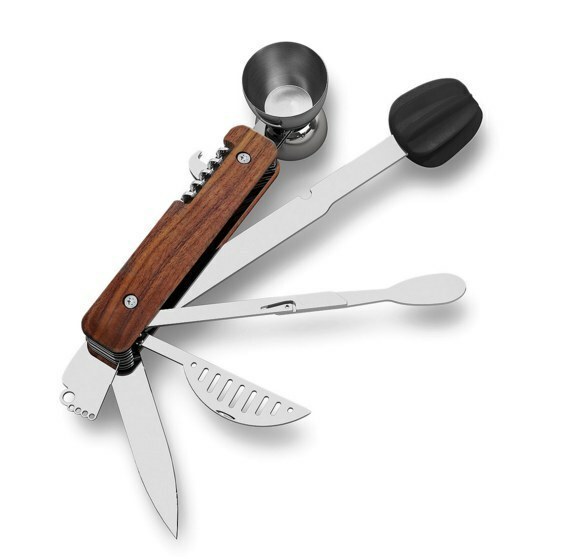 The backpack comes with two acrylic glasses, napkins, a corkscrew, bottle stopper, cheese knife, and a hardwood cutting board. It fits two bottles but can fit a third if you remove the glasses. Get it from Brookstone for $59.99. 7. 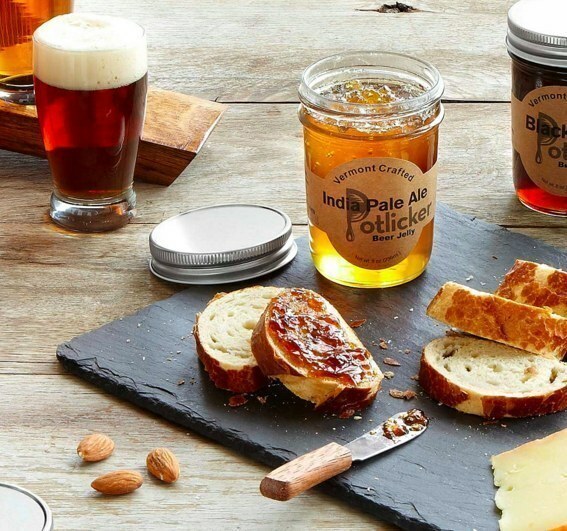 This mead-making kit for anyone who appreciates ciders or beers. It kind of tastes like a mix of the two and is sweetened with honey. Get it from Uncommon Goods for $55. 8. These shot glasses made of actual salt, paired with a really nice bottle of tequila. Get the set from Uncommon Goods for $28, or pay $45 for the set plus a bamboo tray crafted specifically to hold these glasses. 9. A subscription to the Craft Beer Club for any number of months you choose. Each month the company carefully selects four different types of craft beer. The boxes are packed with three bottles of each type, totaling 12 bottles. You can select any number of shipments, but you'll need to know the couple's address before signing up. Get the box here for $39 per month with free shipping. 10. A gift card for a personalized wine subscription service. Yes, generally gift cards feel like lame things to give to a couple that just got married...but this is different. 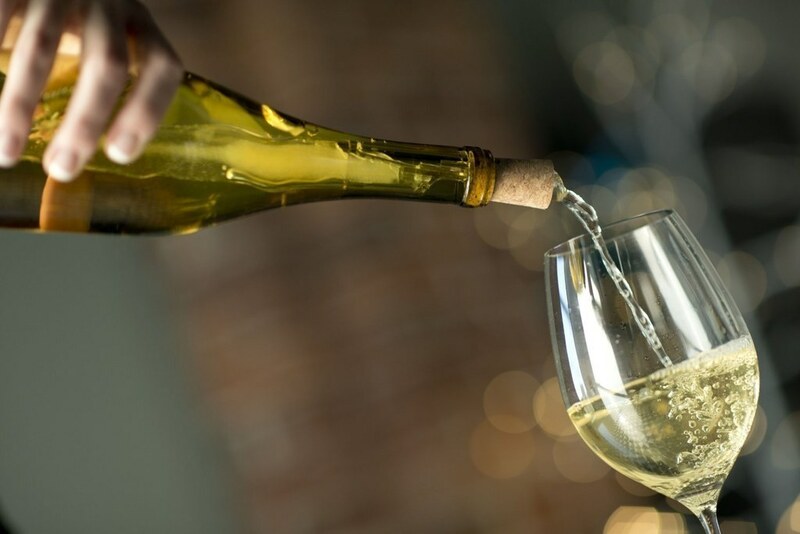 Club W is a monthly wine subscription that tailors boxes exactly to your preferences based on your "palate profile." Giving a gift card for Club W means that the couple can fill out their preferences together and receive their perfect package every month. The cost is $50 per month, and you can choose however many months you want to pay for. 11. This whiskey-aging barrel that you can customize with the names of the partners getting married. Get the two-liter barrel for $85 and the five-liter barrel for $110, both from Uncommon Goods. 12. This craft your own bitters kit for the couple who wishes they had made their careers (or actually have) in mixology. Get it from Gift Tree for $64.95. 13. This set of two self-aerating wineglasses that are perfect for daily use, since you don't need to decant the whole bottle at a time. Get them from Uncommon Goods for $56. 14. These Butterbeer mugs for the Harry Potter fans. Get a few so they can crack open some cold beers and pretend they are chillin' in the Leaky Cauldron. Get them from the Universal Store for $16.95 each. 15. This gorgeous decanter for any couple who appreciates a good bottle of wine. This one aerates the wine twice — once when you pour it into the decanter and once when you pour it into the glass. You can get them in two sizes from Uncommon Goods. The 25-ounce option holds an entire bottle and costs $39.99, and the 12.5-ounce option is $29.99. You can also get a set of two 12.5-ounce decanters for $49.99 so that the couple can have red and white at the same time. 16. These extremely precious wineglass markers to give a couple that often has company. Get them from Amazon for $8.49. 17. This sake-making kit for the couple that always tries to get you to do sake bombs when you go out for sushi. Get it from Uncommon Goods for $57. 18. Or this beautiful set of sake cups designed as a riff on the traditional choko cup. The good news is that these can be used as more than just sake cups, so they won't be wasteful in terms of taking up space. Let the couple you give it to know that they can also be used as little serving dishes for sauces or food prep. Get them from the MOMA Store for $80. 19. 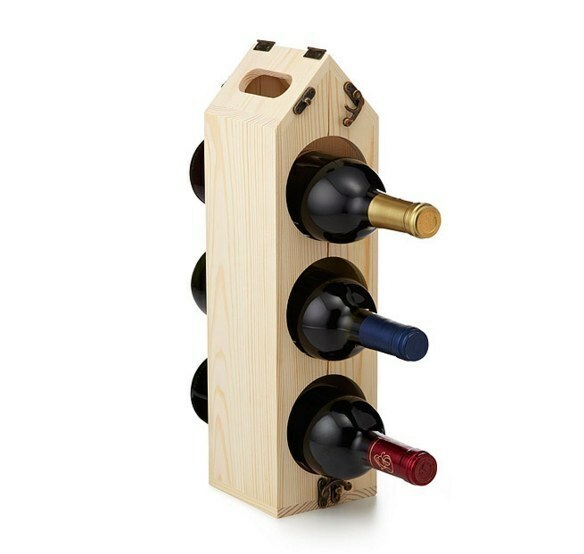 This wine rack with handles that can be expanded to hold six bottles. Get it from Uncommon Goods for $24.99. 20. These bourbon cocktail cherries that are perfect to pair with a nice bottle of whiskey or bourbon as a complete gift. You can also scope out the website for other small-batch syrups and bitters. Get them from Jack Rudy Cocktail Co. for $16. 21. 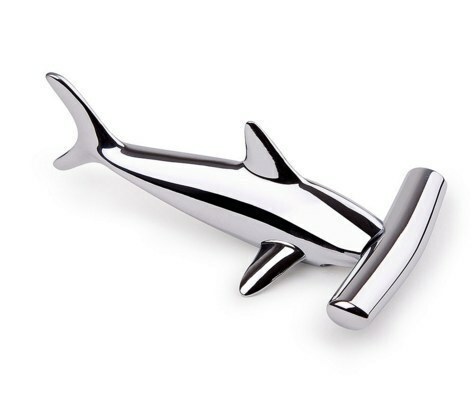 This clever hammerhead shark corkscrew and bottle opener. The bottle opener is the shark's jaw! Get it from Uncommon Goods for $15. 22. 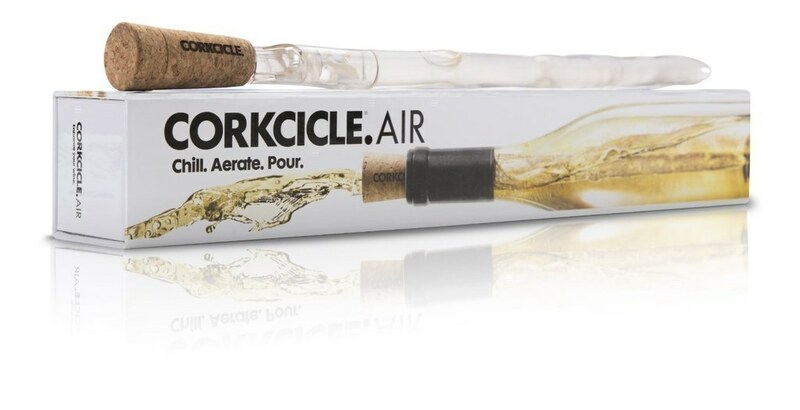 The Corkcicle Air, which can be used to chill white wine faster and aerate it as you pour. 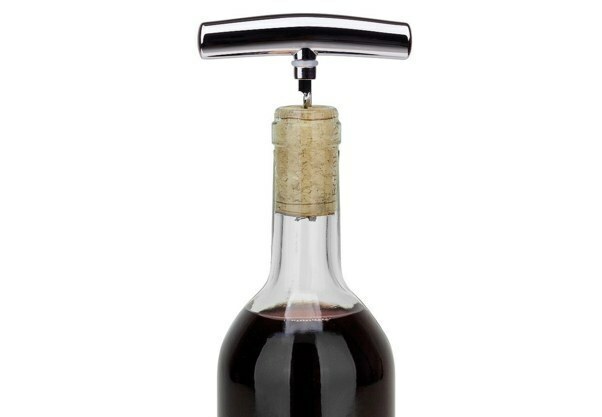 It's basically a cork stopper that has a non-diluting "icicle" on it, with an aerating spout for pouring. Get it on Amazon for $15.73. 23. This molecular mixology kit for the cocktail-loving couple. This kit basically allows adults to play with their food (well, drinks) in the best of ways. The kit comes with different molecular additives, recipes, and tools to make the coolest cocktails ever. You can also buy these kits for specific types of drinks, like the margarita, mojito, or cosmopolitan. Get the kit from Uncommon Goods for $49.95. 24. This wine and stemware caddy that doesn't take up too much space, but makes a bold and stylish statement. Get it from Crate & Barrel for $99.95. 25. 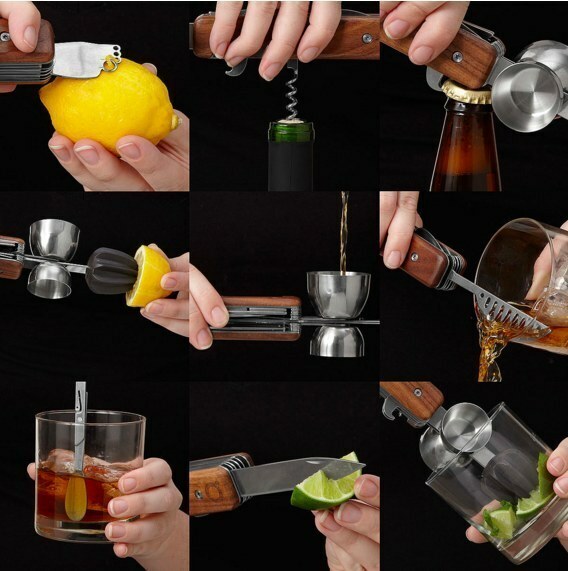 This ultimate cocktail tool that has pretty much everything a booze lover could want. Get it from Uncommon Goods for $39.99. 26. This wine cork pump that is pretty much like a bottle stopper except it's even more airtight and more fun to use. Get it from Uncommon Goods for $28.50. 27. 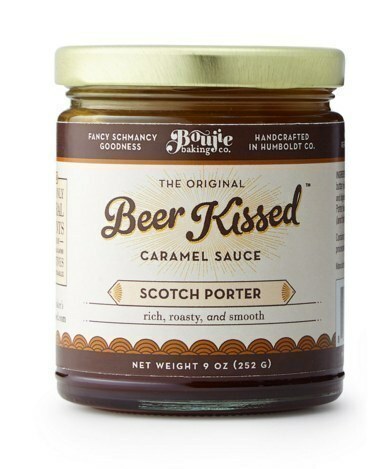 A set of four beer jellies or beer-infused caramels (or both) for the beer lovers. Get the jelly set for $28 and the caramel set for $28, both from Uncommon Goods. For more booze-related wedding gift ideas, click here!